Altia's tools get great GUIs on hardware ... fast! Our GUI builder and automatic code generator let you keep your hardware options open -- and deploy first rate user interfaces. In this video, you'll see the same rich graphical user interface - running on seven different hardware targets. 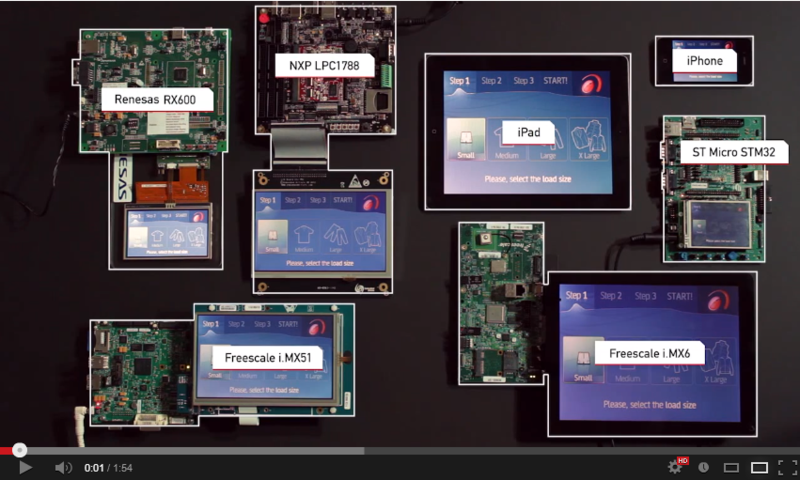 From an iPad to Freescale to Renesas and more, this video demonstrates how Altia enables quick retargeting of GUIs across different platforms.